Can Anything Good Come from Bad "Art"? But...the show kind of gave me a lot, too? Like obviously I met some truly fantastic friends in the fandom, but there was also the way I engaged with the show last year that I kind of miss and also appreciated. Gossip Girl was somewhat pretentious and used literature as a reference point for characters. (and also plots but that was more disastrous) And I read three books for the show last year, and wrote at length about how two of them influenced the way I saw the characters. And...it sounds kind of weird to say but in so doing I sort of fell in love with those characters I imagined in my head from my reading and the show. (they never really existed, sadly, as the show basically erased everything about their characters plot to plot.) But the influence has extended beyond Gossip Girl, I think, like...I feel like what happened is that a deeper empathy was carved into me for this kind of character or person. I'd like to think person! And because Gossip Girl failed to deliver on the stories of these girls, I feel like there's a part of me that attaches to characters that feel like them to some degree. Like, I think part of my attachment to Juliette Barnes on Nashville is because I see bits of what Ivy could have been, but Juliette is a more thoughtfully and carefully crafted character, layered with motivations, etc. It's so funny because at the time, I liked that there was a way for me to go "deeper" into the show through literature, film, etc. Yeah, it was super pretentious, but it gave me a framework for the characters that enabled me to care about them more, and I even sort of admired their ambition. Now, I think it's such a shame that such a terribly written show would have so much exposure to such great works and learn nothing from them. You can invoke Fitzgerald and Wharton's names, but that doesn't mean you know anything about them. So I don't know, it's stupid because I gave the show up months ago, but thinking about the end and how completely horrible it was and all of the things it could have been still kind of makes me sad. And I can't really write the experience off as a waste of time, either. I mean I guess in a way it's good that because of the show I read those books and tried to understand the point of view of those characters, I guess what I'm trying to say is that I'm attached to that experience and I don't exactly know how to reconcile that feeling with the contempt and disappointment I feel for the show. Anyway, it's interesting for me to think about my experience with Gossip Girl, because I was so invested in something that was ultimately not worth my time at all and I guess I'd like to think there was something redeeming to it. (besides, of course, the aforementioned friends, they are the besssst) And it's really weird to think that something redeeming stands so independently from the work itself. PS. 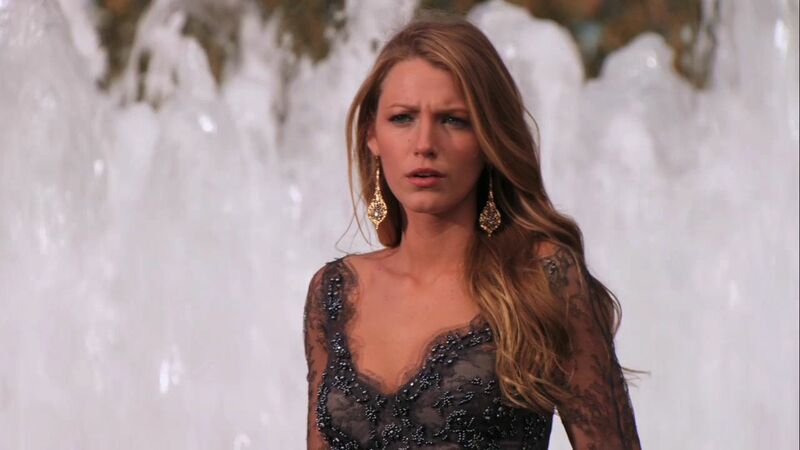 Gossip Girl is objectively bad, no if ands or buts, in the eye of the beholder, etc. I mean it had potential to have worth despite it's mess, but it chose not to embrace that. So this isn't like some other things where there's a discussion to be had about different kinds of values. I would have been willing to have that discussion about this show a year ago, but not anymore. It was JUST BAD.